NIIEPA has played the role of the Secretariat of Chinese Taipei PKI Forum since 2001. NIIEPA promotes and represents Taiwan to participate in international collaboration activities such as RSA, APEC, and EEMA. NIIEPA served as a think tank for our nation's authority and successfully promoted the dialogue between Taiwan and Tunisia, which has resulted in expanded collaboration between the two countries. In June 2004, NIIEPA established "ALS (At-large Structure) Taiwan" for direct access to first-hand information of global internet policies and trends, through which the voice of Taiwan's cybercitizens can also be heard. NIIEPA was an invited speaker at APEC TEL in 2004 and 2005, which helped to showcase Taiwan's ICT developments and achievements on the global stage. WSIS 2nd Phase Participation - Internet Governance Forum (IGF) from 2006 to 2010. NIIEPA CEO Kuo-Wei Wu has been an elected board member of ICANN since 2010. An on-going participant of the renewed IGF (20011-2015). Evolution of global internet governance principles and policies. IP Address & Domain Name Measurement Updates (IPDN). Mitigation strategies for IPv4 address exhaustion. Study of tax credit regulations for IPv6 deployment in private sector. IPv6 transition strategies for public sector. Top-level domains business models and operations analysis. ICT developments and personal information protection. UN's internet governance policies and influences to Taiwan's ICT developments. 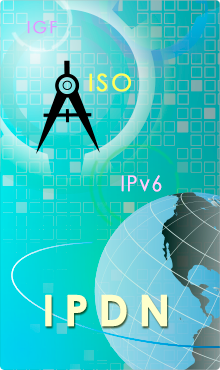 NIIEPA has developed an IPDN data-retrieval system to collect and compare measurement updates from OECD, European Union, APEC and international organizations across the internet to monitor global IPv6 allocation and deployment. Each month NIIEPA publishes an electronic "IPDN Measurement Updates" in Chinese and distributes it to industry professionals for free. Each issue covers global internet development topics such as IPv6 deployment statistics and global trends, as well as New gTLD updates and statistics. Comparative study of major international standards: ISO, CEN, United States, UK, and Canada, etc. White Paper: Strategies for the Development of National Standards.